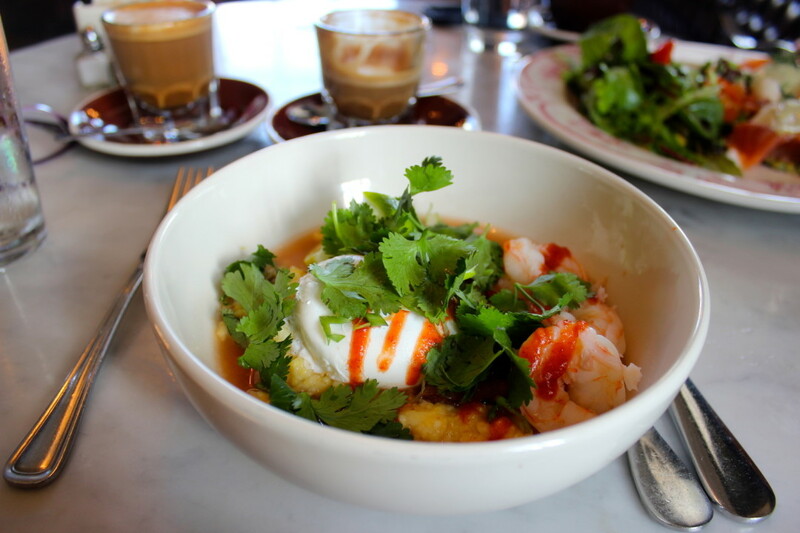 Pho Shrimp and Grits: The Perfect Brunch Dish? If brunch is really meant to be a mix of breakfast and lunch, this Down House dish is ideal. Shrimp and grits in pho broth at Down House. Since brunch is traditionally served at a time that could overlap both breakfast and lunch—hence the portmanteau—an ideal brunch menu, to me, offers a little of both worlds. 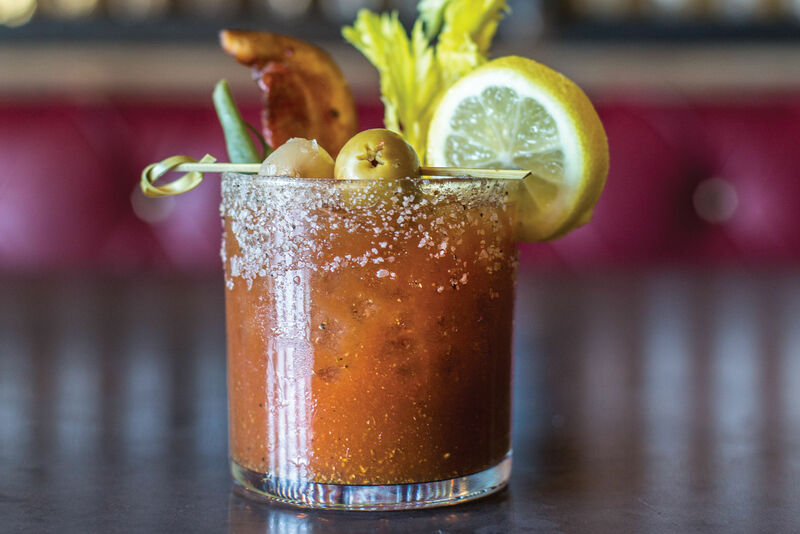 Some egg dishes for the breakfast fans, some light lunch fare for those who prefer their bacon on a sandwich, and sometimes a dish that—like brunch—includes both breakfast and lunch in one. 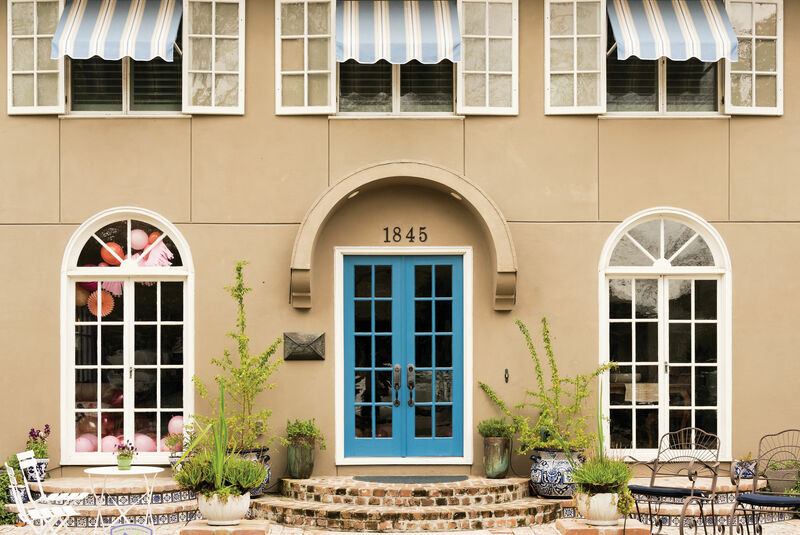 We recently spotlighted Down House in our October cover story on the 50 restaurants that define Houston dining, mentioning its shrimp and grits in pho broth and its kimchi-topped burger as examples of the sort of mix-and-match, homegrown fusion cuisine that's setting the standard for modern Houston restaurants these days. The shrimp and grits, which is served at both breakfast and lunch, also happens to be one of my favorite brunch dishes at the moment for the way it not only blends Southern with Vietnamese, but breakfast with lunch. The coarse yellow grits in the dish are more typically served at breakfast, but when topped with shrimp—fat, sweet Gulf shrimp in this case—become a more traditional lunch or dinner item. Pho crosses all time borders, being served in its native Vietnam at all times of day. 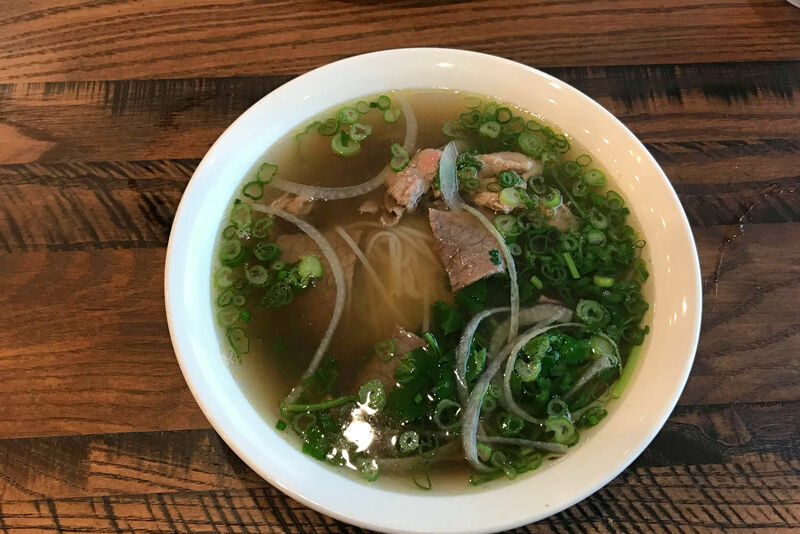 In fact, at one of Houston's most perenially popular pho restaurants, the Pho Binh trailer on Mangum, you'll find more people eating pho for breakfast there than lunch. The addition of a gently poached egg and nicely rendered chunks of fatty, smoky bacon on top of Down House's grits similarly blurs the lines between breakfast and lunch, since Americans have, as of late, been eager to top just about any dish with bacon and eggs at any time of day or night. What really appeals to me about this transformed Low Country dish, however, is the unlikely direction Down House executive chef Benjy Mason has taken with it. I've had bowls of shrimp and grits where the already creamy grits are overwhelmed by the addition of other equally imposing ingredients: blue cheese, for example, or thick and buttery ragouts that coat the mouth in an unpleasant way. 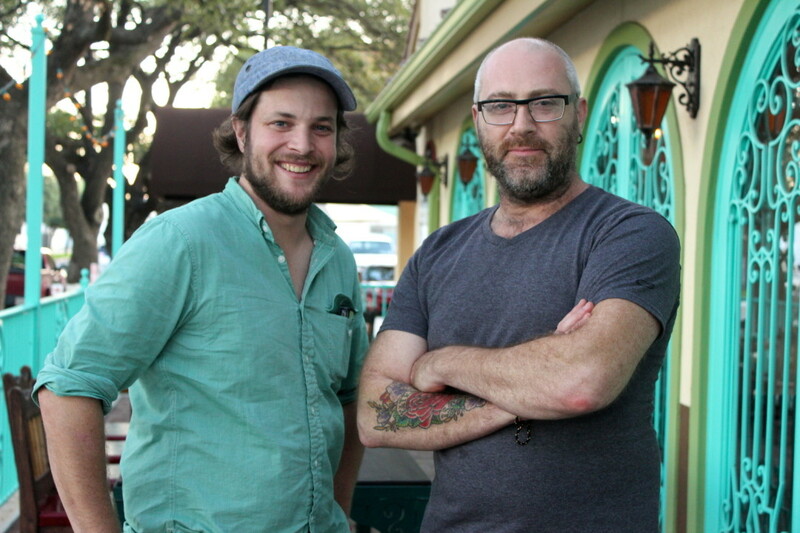 Benjy Mason, left, executive chef of Down House with partner-in-crime Richard Knight. Knight and Mason will be co-executive chefs at the upcoming Hunky Dory. What Mason has done here is a simple stroke of brilliance: a floater of pho broth rings the grits, its charred onion and ginger and clove and subtle cinnamon spice brightening it all up. A thick handful of herbal, clean-scented cilantro and a few squirts of Sriracha sauce on top ties it all together and further lifts the dish, keeping it from being too dense or heavy despite that thick egg yolk and fatty bacon swimming around in the midst of it all. It's just an exceptionally thoughtful dish, one not borne of a concentrated effort to intentionally throw two cuisines together but rather to seek out the right balance of flavors and textures. Mason says in that pursuit of balance, it's natural to throw together ingredients he's been eating in Houston his entire life. "Everyone my age grew up eating what is now 'ethnic food,'" Mason said when we interviewed him for the October issue, although he's loathe to use the term—these days, what's "ethnic," after all? "There used to be this emphasis on cooking one particular thing, like Northern Italian cuisine," said Mason. "Nowadays, it’s less natural for younger chefs to cook that way." 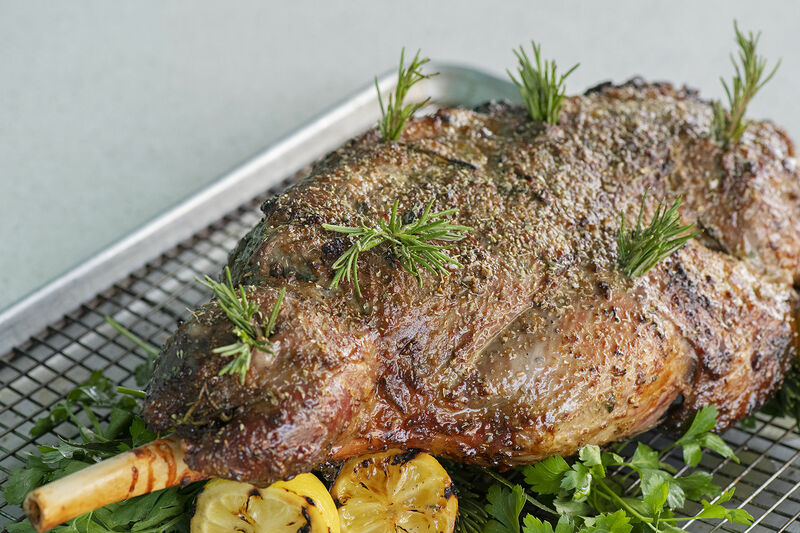 As for what to call this style of Mutt City cuisine, new American Creole, or whatever the term of the day is for this effortless blending of cultures, Mason hopes to find a similarly effortless name for what Houston's cooking up. "I like to think we won’t worry what to call it anymore, and at some point it just normalizes into 'Houston cuisine.'"